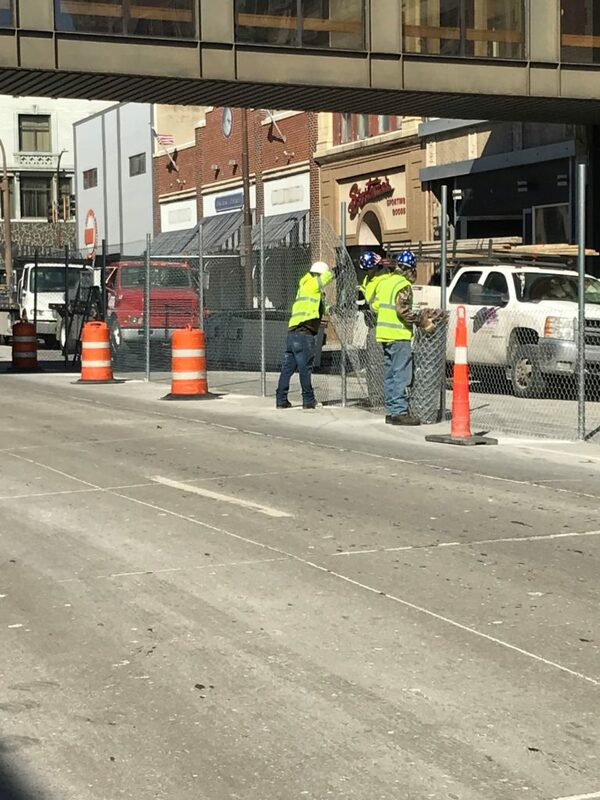 With this warm weather comes in increase in construction in Sioux City, which then causes an increase in the need for temporary construction fence. American Fence Company has the largest fencing materials inventory in the Midwest, so we have access to thousands of temporary fence panels ready to start protecting construction sites in Sioux City. Contractors in Sioux City understand that temporary construction fencing is crucial for protecting both their work site and their investment. In Sioux City, the cost of temporary construction fencing is a fraction of the entire construction cost and it protects the site from costly repairs and fixes. While the snow is still clearing up, many pedestrians have been walking through construction sites while other pathways are obstructed with snow. Contractors should not allow this as it causes risk to both the pedestrian and the construction site. Prevent any damages, slips or falls by using temporary construction fence to corral pedestrians away from your site. Interested in temporary construction fence? Contact Sioux City or any of our other 8 branches or request a free quote today.